On November 14, 2018, the Cameroonian government and AFD signed an agreement on the implementation of phase 2 of the Yaoundé Sanitation Project (dubbed PADY 2 in French). A step that consists in giving the municipalities the means to maintain the drainage infrastructure, thus eliminating flooding in the Cameroonian capital. The Yaoundé municipal circle hosted the signing of two important documents on Wednesday, November 14, 2018. The first is the 2nd Yaoundé City Contract, between the State, represented by the Ministry of Housing and Urban Development, on the one hand, and the Yaoundé City Council and its 7 sub-districts, on the other hand. The second document is the implementation agreement for Phase 2 of the Yaoundé Sanitation Project (PADY 2). “The PADY 2 implementation agreement is a very important document. From there, we will initially earn more than 600 billion CFA francs (about 915 million euros, editor’s note). The government wants to carry out ambitious projects in the city of Yaoundé,” said Jean Claude Mbwentchou, Minister of Housing and Urban Development, at the end of the ceremony. Nicolas Villeman, Deputy Director General of the French Development Agency, welcomed, “the completion of two years of work with the State and the urban community to set up funds to maintain all the infrastructure financed with the assistance of the African Development Bank, and to improve the living conditions of the population”. The second phase of the Yaoundé sanitation project (PADY 2) is a continuation of phase 1, financed by the Bank, which had made it possible to develop 20% of the length of the main watercourse (Mfoundi) and its four tributaries crossing the city of Yaoundé. PADY 2 will make it possible to develop the remaining shelf space, thus reinforcing the positive impacts of the first phase. Its cost, estimated at 917.5 million euros, is co-financed with AFD, the Global Environment Facility (GEF), the African Development Fund and the Cameroonian government. It will be executed over 4 years. The project will benefit a population of 1.8 million people, or about 75% of the population of the city of Yaoundé, 49% of whom are women. In addition to the construction of a 6-kilometre drainage channel on the main bed of the Mfoundi River, and a pilot unit for the disposal and treatment of domestic sewage sludge, the project will finance landscaping around the main channel and contribute to strengthening the vector control capacity of the health centres in its intervention area. It will also support the capacity building of the Yaoundé Urban Council (CUY) and the 7 local boroughs (CA). The latter will have to maintain the infrastructure built as part of the project, with the use of labour-intensive works. 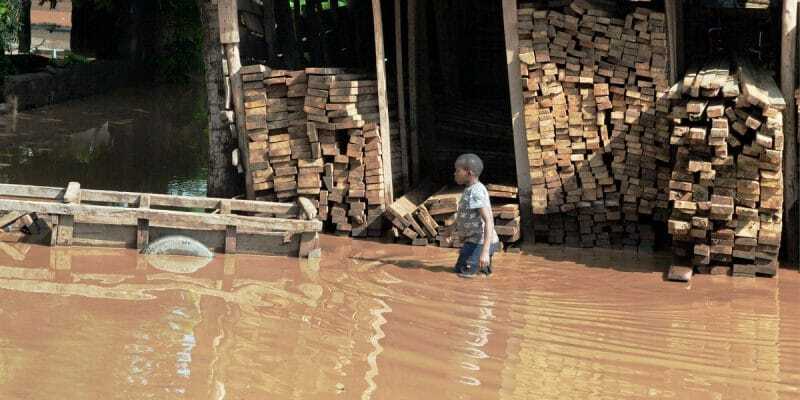 The Cameroonian capital’s sanitation project is justified by the current situation of the city’s drainage network, which is characterised by its weakness and poor functioning, causing frequent flooding due to heavy rainfall (about 2000 mm per year). PADY 1, launched in 2011, reduced the number of floods from 15 to 3 per year. The current project will make it possible to solve the flood problem definitively by 2020. It also includes targets for improving the social and health conditions of the population, including urban sanitation coverage, which is expected to reach 59 per cent in 2020, and the reduction in the prevalence of waterborne diseases (-5 per cent for malaria; -1.05 per cent for cholera; -0.5 per cent for typhoid).